5. In Advanced Mode, select the “SIP” node under “IP Call Control Modules” and then navigate to “IP Parameters” tab in the right pane. 9. 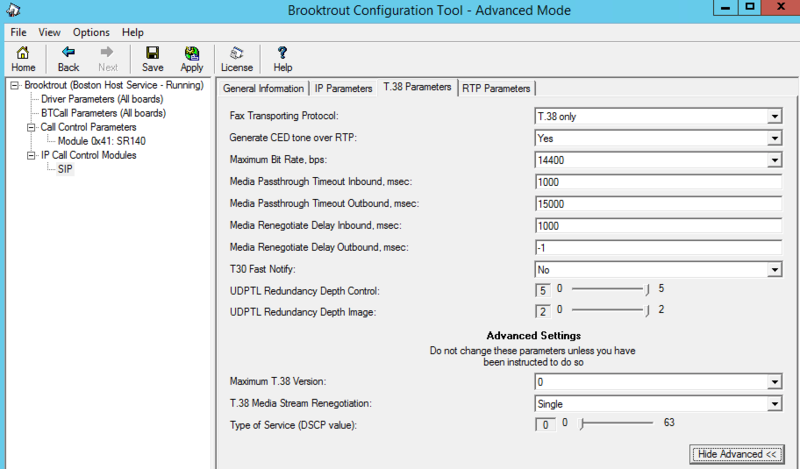 Exit the Brooktrout Configuration Tool saving your changes. Afterwards start the RightFax Doc Transport Module service. 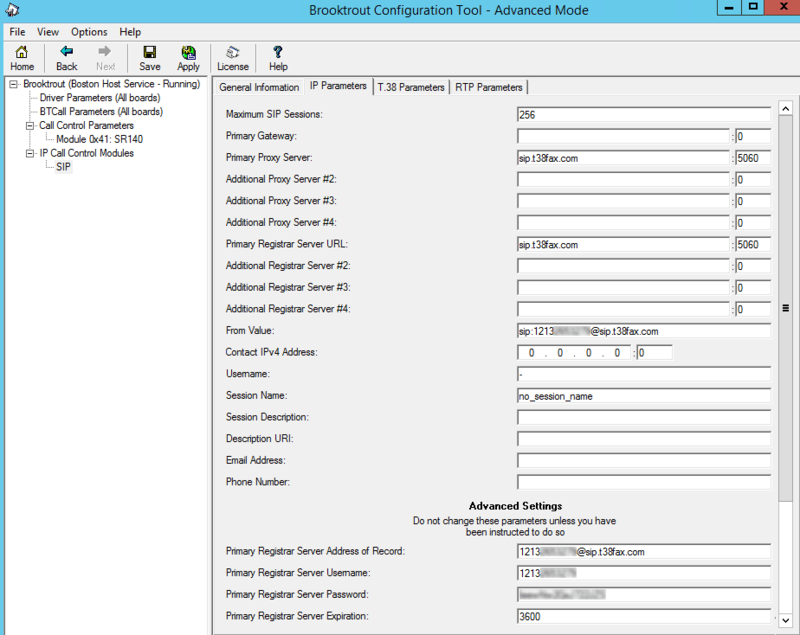 More details on how to configure the Dialogic SR140 can be found at the URL below: https://www.dialogic.com/webhelp/Brooktrout/SDK65/WindowsEndUserGuide.pdf You'll want to focus on the "Configuring SIP Call Control with a Proxy Server" area of the guide to configure "Dynamic routing by a Proxy server" with your T38Fax.com account.